This entire project won awards and, as it sits discreetly inside the original walled kitchen garden of a manor house, it is easy to see why. 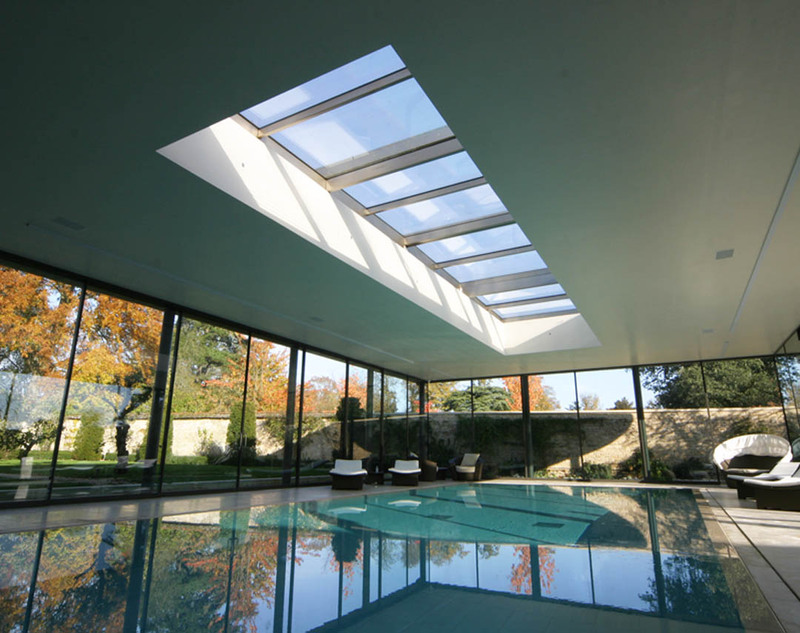 meia has designed an opening roof to enhance the atmosphere and experience of the pool below. It is exceptionally long, yet able to fully disappear when retracted. During warmer weather the roof can become just a continuous rectangular opening. This allows swimming under the sun or the stars and allow fresh air into the space. An international cricket team was booked to play on the house’s private cricket ground, so the roof system had to be installed in record time to be ready for the event. 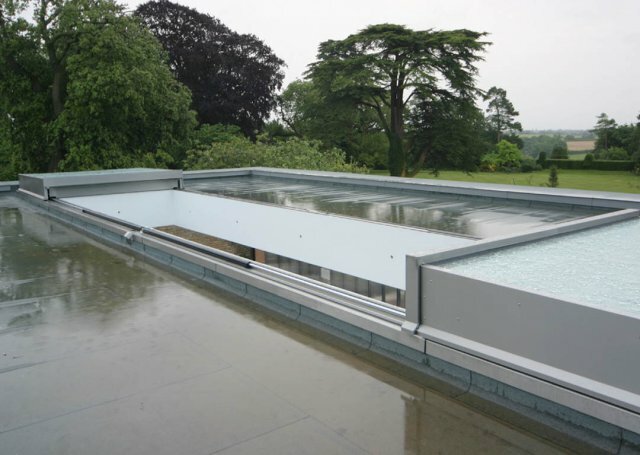 Each section of the four element roof is fitted with two double-glazed units. The roof is divided into two pairs of frames. The the upper/inner frame of each pair slides over its neighbour, as the lower/outer one slides away at half speed. The opposing end does the same with its pair of frames – thus all four frames fully clear the hole at the same time when open. So, as an overall installation, we call this a double stacking, four element, bi-parting roof. 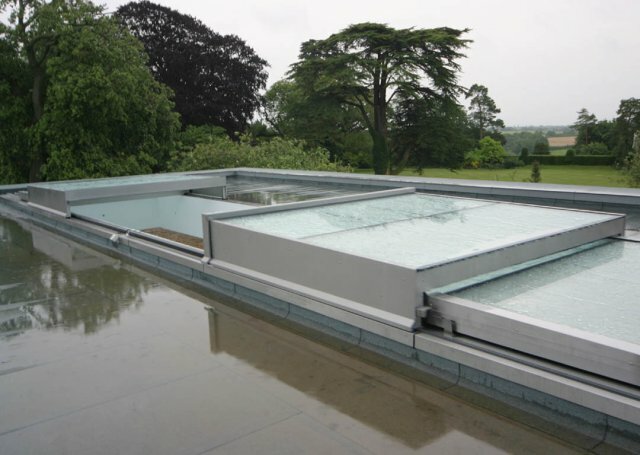 As standard, the roof is fitted with rain detectors which automatically close it in the event of rain; this function can be over-ridden, however, allowing the option of swimming in the rain if desired. There is also an emergency manual backup system allowing the roof closing in the event of power or systems failure. Use high quality mainly stainless steel components allows good operation in a challenging, humid environment, such as a pool house.